The Army and major contractor, Lockheed Martin have joined forces. The Army Combat Capabilities Development Command’s Army Research Laboratory is teaming up with contractor Lockheed Martin Corp. to develop new synthetic materials to support the warfighter. The recent five-year agreement cements a commitment to invest in synthetic biology. The intent is to enhance Army operations with improvements to advanced specialty paints for corrosion and protection; high-performance optics for drone sensors; and repair of parts and systems for expeditionary forces, according to an Army release. Applications could also include the civilian market, such as development of non-toxic paint with anti-fungal and anti-mold protection and reductions to the size, weight and cost of diagnostic and surgical devices. A formal program launch is set to be announced later this year. Officials said the collaborative effort leverages a current tri-service synthetic biology Department of Defense Applied Research for Advancement of Priorities program, the Army’s Institute for Collaborative Biotechnologies and the Army’s Open Campus framework to co-locate academic, Army and industrial personnel in regional technology hubs of Boston, Massachusetts, and Austin, Texas. The U.S. Army Combat Capabilities Development Command’s Army Research Laboratory is the Army’s corporate research laboratory and known a ARL. Under the agreement, ARL and Lockheed Martin will develop rapid prototyping methods using bio-production and self-assembly to create the building blocks of novel materials for defense optical technology and protective coatings. The collaboration envisioned in this proposed effort will be wide-ranging, and will involve personnel, material, data, models and method exchanges bringing synthetic biology solutions to the Soldier.. Both ARL and Lockheed Martin have several research laboratory locations and personnel and facilities in the Boston and Washington, D.C., metropolitan regions to include ARL Northeast, which will aid in the collaborative exchange. Initial efforts of this agreement are focused on understanding materials integration challenges with a focus on early wins in protective coatings. ARL and Lockheed Martin will be working closely with both DOD and commercial company partners that align with DOD’s Engineered Resilient Systems, Materials and Manufacturing Processes, as well as Army and DOD science and technology ecosystem for early adoption of synthetic biology products. Officials are planning a formal program launch to be held later this year. 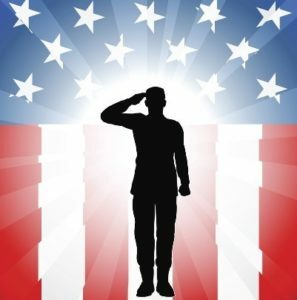 The Department of Defense (DoD) kicked off the new year by awarding a number of eight-figure contracts on behalf of the Army, Navy and Air Force. On January 2nd, the DoD awarded Risk Mitigation Consulting Inc. a $95,000,000 maximum amount, indefinite-delivery/indefinite-quantity contract for mission assurance assessments of installation/facilities infrastructure and facility-related control systems for the Department of the Navy. The work includes, but is not limited to, the collection and evaluation of data concerning the criticality of facilities, utilities, industrial control systems, and supporting infrastructure based on mission impacts, probable threats and hazards, and degrees of vulnerability to determine the overall risk posture of the asset. The company is based in Destin, Florida. On the same day, the DoD also awarded Raytheon Co. a contract for $81,224,627 for modification P00007 to a previously awarded fixed-price-incentive=firm-target contract (N00019-17-C-0042). This modification provides for the procurement of 228 configuration components required for completion of Configuration D Retrofit Component engineering change proposals for the F/A-18E/F and EA-18G aircraft for the Navy and the government of Australia. The company is based in El Segundo, California. Additionally, January 2nd saw Lockheed Martin, Rotary and Mission Systems, Moorestown, New Jersey, awarded a $28,882,337 cost-plus-incentive-fee modification to previously awarded contract N00024-16-C-5102 for AEGIS Baseline 9 Integration and Delivery, TI-08 CG Upgrade, AEGIS Baseline 9 Capability Development, Capability Improvements, Baseline 9 Sea Based Non-Cooperative Target Recognition Development and Radar Engineering. The Army contracts included O’Gara-Hess & Eisenhardt Armoring Co. LLC, of Fairfield, Ohio, awarded a $60,736,752 firm-fixed-price contract to procure Family of Medium Tactical Vehicles protection kits and Endeavor Robotics Inc., Chelmsford, Massachusetts, was awarded a $32,400,000 firm-fixed-price contract for reset, sustainment, maintenance, and recap parts for Robot Logistics Support Center technicians to support the overall sustainment actions of the entire Endeavor family of small, medium, and large robots. The only contract awarded on behalf of the Air Force was a $22,500,000 ceiling indefinite-delivery/indefinite-quantity contracts for the formation of a collaborative working group of various industry partners to work as single extended entity to develop, evolve, update via pre-planned product improvement initiatives, as well as manage and provide configuration control of the open mission systems and universal command and control interface standards, collectively referred to as the Open Architecture Standards. This contract is a joint venture between BAE Systems Information and Electronics Systems Integration; The Boeing Co., Defense, Space & Security; General Atomics Aeronautical Systems Inc.; Goodrich Corp., UTC Aerospace Systems, ISR Systems; Harris Corp., Electronic Systems, Integrated Electronic Warfare Systems; Lockheed Martin Corp., Lockheed Martin Aeronautics Co.; Northrop Grumman Systems Corp., Northrop Grumman Aerospace Systems, ; and Raytheon Co.
Will Khashoggi Death Complicate Arms Deal with Saudi Arabia? On May 20, 2017, President Trump and Saudi Arabia’s King Salman bin Abdulaziz Al Saud signed a series of letters of intent for Saudi Arabia to purchase arms from the United States totaling $110 billion immediately, and $350 billion over 10 years. That deal may have hit a snag. In the wake of the murder of Saudi critic Jamal Khashoggi at the Saudi Consulate in Istanbul, Turkey, President Trump’s support of Crown Prince Mohammed bin Salman has lawmakers from both parties concerned and speaking out. 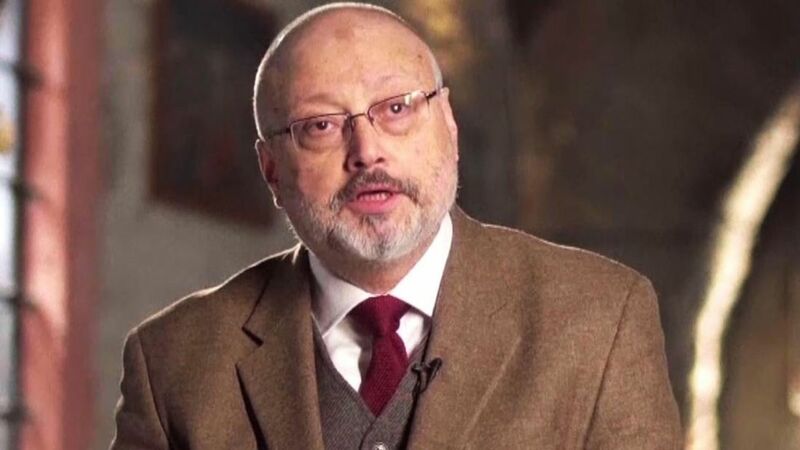 Khashoggi was a US resident and worked for the Washington Post. While Saudi Arabia has maintained that neither the Crown Prince nor his father knew of the killing. Intelligence officials, lawmakers and analysts familiar with the country have said that this situation could not have taken place without, at minimum, the awareness of the Crown Prince, who controls all the country’s security services. Of that $110 billion in arms agreed to, Lockheed Martin’s $28 billion share of the pie would be a result of furnishing warships, missile defense, tactical aircraft and helicopters for the Saudi government over the next decade. Boeing has an agreement to develop a new joint venture aiming to localize more than 55 percent of the maintenance, repair, and overhaul services for military aircraft in Saudi Arabia. And Raytheon had announced that it would stand up a Saudi-based division to oversee its weapon programs for the kingdom and the creation of indigenous jobs there. But one lobbyist for a weapons company has said that worries about a potential across-the-board blockage of arms sales by Congress has surfaced. But Khashoggi’s murder has drawn attention to the President’s business ties to Saudi Arabia, as well as the relationship between the Crown Prince and Trump’s son-in-law, Jared Kushner. The Trump administration’s push to sell civilian nuclear technology to Saudi Arabia is emerging as the next battleground in the struggle between the White House and Congress over U.S. policy toward Riyadh. The Air Force announced that Lockheed Martin will receive a $7.2 billion contract to manufacture 22 Global Positioning System satellites. Secretary of the Air Force Heather Wilson said the new generation of GPS satellites, called GPS 3 follow-on, or GPS 3F, is more resistant to interference and electronic attacks. The satellites are expected to be available for launch into space beginning in 2026. “The world is dependent on GPS, from getting directions to getting cash from an ATM machine or trading on the stock exchange,” Wilson said. “This investment in GPS 3 continues to advance our capabilities into the future,” said Chief of Staff of the Air Force Gen. David Goldfein. 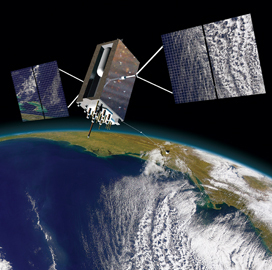 In 2008, Lockheed Martin was selected by the Air Force to build the first 10 GPS 3 satellites. 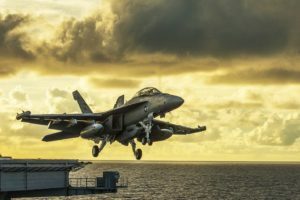 In February, the Air Force requested competitive bids for the next batch of 22, but only Lockheed Martin submitted a proposal. Other military satellite manufacturers like Boeing and Northrop Grumman that were expected to challenge Lockheed Martin decided not to. 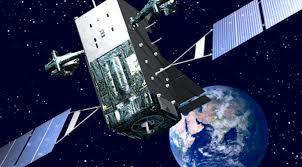 The Air Force experienced a number of setbacks and schedule delays in the production of the first 10 GPS 3 satellites. Timely production of GPS satellites is critical as the current constellation of 31 GPS 2 satellites in orbit will have to be replaced over the next decade. The first GPS 3 launch was scheduled for March, 2018, but has been delayed. The first vehicle of the GPS 3 constellation arrived at Cape Canaveral, Florida, on August 20th in anticipation of a December 15th launch. The Air Force wants a new missile warning constellation that would be more survivable against counter space weapons that are currently being developed by China and Russia. To that end, Lockheed Martin has been awarded a $2.9 billion Air Force contract for three missile-warning satellites known as next generation overhead persistent infrared. The scope of the contract allows for analysis, design/development, hardware procurement, early manufacturing, and risk reduction efforts. Known as Next-Generation Overhead Persistent Infrared Satellites (Next-Gen OPIR), the satellites will replace the current Space Based Infrared System, or SBIRS. Military officials had hinted for some time that the SBIR program was due for a correction. SBIRS has not been widely supported. Critics say it has become a poster child for military acquisitions that cost too much and take too long to produce. The Air Force is the lead agency for procuring next-generation OPIR satellites. Lockheed Martin Space Systems in Sunnyvale, California will manufacture three geosynchronous earth orbit space vehicles, to be completed by April 2021. Northrop Grumman was selected to develop the polar orbit satellites. The Air Force currently operates 77 satellites vital to national security that provide communications, command and control, missile warning, nuclear detonation detection, weather and GPS for the world. Legislation passed in 2016 gives the military license to expedite the procurement of next-generation satellites. Lockheed Martin will be “working closely with the Air Force on the rapid development of next gen OPIR’s more advanced, resilient missile warning capability,” according to Lockheed Martin spokesman Chip Eschenfelder. “We understand the need to ‘go fast’ while improving our national security posture against emerging threats around the world,” Eschenfelder added. The Air Force has said there will be a separate industry competition for the sensor payloads.